Watch the acclaimed guitarist Wayne Krantz, with support from the Richard Spaven Trio live from a sold out show at Ronnie Scott's on Thursday 13th September, from 7.45pm BST here on Facebook. Watch the acclaimed guitarist Wayne Krantz, with support from the Richard Spaven Trio live from a sold out show at Ronnie Scott's on Thursday 13th September, from 7.30pm BST on Facebook. Known globally for his uncompromising musical vision, staggering virtuosity and deep reserves of soul, Wayne Krantz is one of very few modern guitarists to venture beyond the instrument's limitations and create an identifiably original style and sound. Good Piranha/Bad Piranha is his full-throttle double-take on four contemporary pop and hip-hop songs, from which he plunders the textural, rhythmic and harmonic intrigue that has come to define each of his unique projects. Throughout his decades-long career, New York-based guitarist and composer Wayne Krantz has never rested on his laurels. From his early sideman days with artists such as Billy Cobham, Michael Brecker, Steely Dan and others, through his numerous live and studio solo recordings, Krantz has consistently pushed his stylistic roots in rock, jazz, fusion and blues beyond their boundaries. A world-renowned improviser, Krantz’s singular approach to his instrument combines rhythm-centric phrasing with a dynamic attack in a style that is distinctly his own. His cutting-edge status has been further established through his use of unique harmonic vocabularies (which Krantz details in his highly-regarded 2004 instructional book An Improviser’s OS), and a strong focus on bold group improvisation. All of these elements combined equal a genre-defying artist who is firmly positioned at the vanguard of his craft. 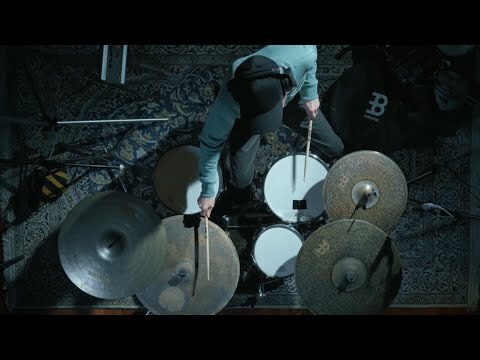 Throughout his solo career, Krantz has predominantly worked in a trio setting (with stellar musicians as Keith Carlock, Tim Lefebvre, Cliff Almond, Anthony Jackson, Lincoln Goines, Zach Danziger and others), and has documented his steady evolution with nearly every type of trio album imaginable, ranging from the heavily composed to the primarily improvised, both live and in the studio. In 2009, Krantz released Krantz Carlock Lefebvre (Abstract Logix); a strikingly original album that was the first studio recording to showcase the group improv dynamic of one of his most enduring bands. Known globally for his uncompromising musical vision, staggering virtuosity and deep reserves of soul, Wayne Krantz is one of very few modern guitarists to venture beyond the instrument’s limitations and create an identifiably original style and sound. Good Piranha/Bad Piranha is his full-throttle double-take on four contemporary pop and hip-hop songs, from which he plunders the textural, rhythmic and harmonic intrigue that has come to define each of his unique projects. Following 2012’s critically acclaimed Howie 61—a record packed with cleverly arranged, hard-hitting original songs and a small army of masterful sidemen—Krantz has scaled back the setting and material for his tenth outing as a leader. Good Piranha/Bad Piranha finds his trio in the studio revisiting a selection of cover tunes they performed during legendary recent appearances at the 55 Bar in Greenwich Village. Presenting two distinct versions each of Pendulum’s “Comprachicos,” M.C. Hammer’s “U Can’t Touch This,” Ice Cube’s “My Skin is My Sin” and Radiohead vocalist Thom Yorke’s “Black Swan,” Krantz extracts and serves up a surprising range of nuance by switching up musicians and applying his inimitable instrumental inventiveness. Each song’s multiple takes allow the group(s) to reimagine the material from unexpected angles, making use of subtle rhythmic and melodic shifts to frame a dazzling display of the guitarist’s revered melodic and chordal innovations; he intertwines his stark, elastic tones with the familiar tunes’ snaky rhythmic skeletons and insistent basslines to create wholly new works. Joining Krantz on Good Piranha/Bad Piranha are his longtime trio mates Keith Carlock (Steely Dan, Sting) on drums and Tim Lefebvre (Tedeschi Trucks Band) on bass. Recent cohort Nate Wood (Kneebody) reprises his chameleonic role in Krantz’ touring band, appearing here on bass for the first versions of the four tunes and then on drums for the second. The material is delicately enhanced by occasional vocal interjections courtesy Gabriela Anders. 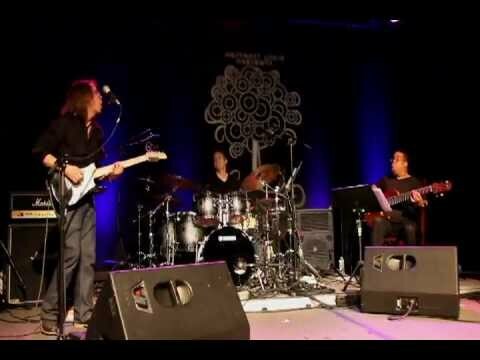 Since the late ’80s Wayne Krantz has been revered as one of the world’s great guitarists, working alongside such rock legends as Steely Dan (both as a bandmember and later on solo projects by Donald Fagen), jazz saxophonists Michael Brecker, Chris Potter and David Binney, composer Carla Bley and drum icon Billy Cobham. In addition to his influential studio albums as a leader, Krantz has released several recordings of his celebrated live trio performances, which have become major concert draws worldwide for fans of powerfully adventurous improvised music. Richard Spaven has supplied the drums for many artists on stage and in the studio inc. José James, Flying Lotus, The Cinematic Orchestra, Snarky Puppy, Guru’s Jazzmatazz and Gregory Porter to name but a few. By connecting the dots as he seamlessly traverses between genres, Richard Spaven weaves a thread of jazz throughout each one. He is as comfortable manning the kit behind classically trained piano virtuoso Robert Mitchell, as he was when touring the world with hall of fame hip-hop emcee (the late) GURU. Spaven is equally at home when providing the percussive undertone to the futuristic sounds of maestro Mark de Clive Lowe and the prolific 4Hero. It is no surprise then that he is the backbone for jazz vocalist Jose James' band as well as conducting the beats for The Cinematic Orchestra. Joining Richard Spaven on the night will be bassist Dan Gulino and Stuart McCallum on guitar. 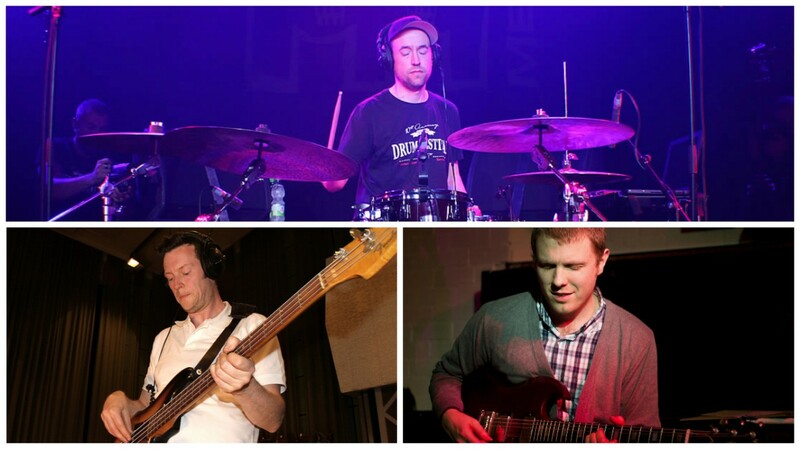 Tell us what you think of Watch the Wayne Krantz livestream, Richard Spaven Trio below..